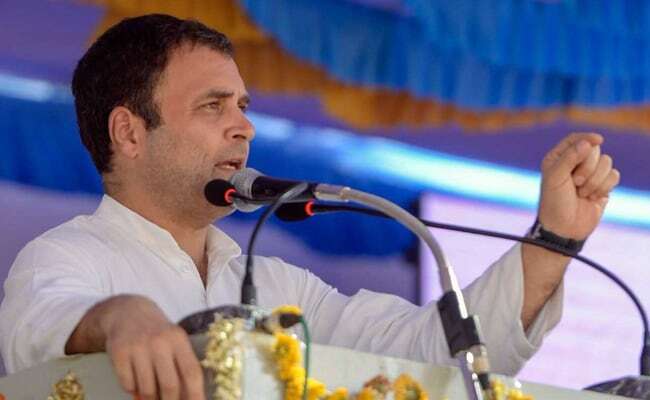 Karnataka Assembly Election: The 80-second video tweeted by Rahul Gandhi took a swipe at PM Narendra Modi, asking him to start speaking about criminal cases that the BJP's presumptive chief minister faces. Congress president Rahul Gandhi today tweeted a stinging attack at Prime Minister Narendra Modi for his party's choice of candidates in Karnataka, particularly the BJP's chief ministerial face BS Yeddyurappa, the Reddy brothers and their associates. The tweet, accompanied by a video that the Congress chief says "plays like an episode of 'Karnataka's Most Wanted'", is seen as an effort to corner the BJP leadership that accuses Chief Minister Siddaramaiah of corruption. "You talk a lot. Problem is, your actions don't match your words. Here's a primer on your candidate selection in Karnataka," Mr Gandhi, 47, said in his tweet minutes before PM Modi was to land in Karnataka for another day of election campaigning. The 80-second video took a swipe at PM Modi for his continued silence on criminal cases that the BJP's presumptive chief minister faces, election tickets to two Reddy brothers and six others perceived to be close to them and other candidates facing criminal charges. There was a post script. "You can refer to a paper for answers," he taunted, a response to PM Modi challenging him to speak for 15 minutes on achievements of the Karnataka government without the help of notes. Mr Gandhi's tweet is part of the Congress strategy to build its offensive against the BJP around the Reddy brothers. They represent a chunk of corruption allegations that mushroomed during the BJP government led by BS Yeddyurappa. The Reddy brothers - lawmakers and ministers during the earlier BJP government in the state -- have been accused of conducting largescale illegal mining across the iron-ore-rich district of Ballari. Two of them - G Somashekhara Reddy and G Karunakara Reddy - have been given party tickets. Over the past week, PM Modi also had shared stage with Somashekhara Reddy in Ballari who was earlier accused of bribing a judge in the cash-for bail case that involved their third brother Janardhan Reddy. The third brother wasn't given a ticket and BJP president Amit Shah had initially claimed that the BJP had nothing to do with Janardhan Reddy. After NDTV reported how Janardhan Reddy was campaigning for the BJP, the party's state chief BS Yeddyurappa conceded that the party was using Janardhan Reddy. The BJP's central leadership, which presumably approved the move, has been silent despite numerous Congress demands for an explanation. Campaigning in Karnataka this week, Rahul Gandhi had gone back to the blockbuster "Sholay" that was shot in the rocky terrain of Ramanagara 60 km from Bengaluru. During the Gujarat elections, he had expanded GST, the acronym for the national sales tax, into "Gabbar Singh Tax", christening it after one of India's biggest fictional villains. In Karnataka, Mr Gandhi went one step ahead. "The BJP is playing 'Sholay' movie in Karnataka with a 'Gabbar Singh' gang featuring the scam-tainted jailbirds of his party as Kalia and Samba," he said. Elections in Karnataka will be held on May 12 with counting on May 15.